With the recent buzz about GDPR and online privacy scandals, the topic of personal data is reaching beyond the digital marketing industry. As a result, consumers are paying more attention to how their data is being used by online advertisers. 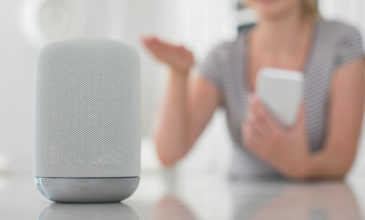 It has become increasingly important to show consumers that their personal data is being used in a way that benefits them. Regulations around privacy are changing and restricting how marketers can utilize third party data. It’s time to adapt your paid social strategy in response to these recent market changes. Instead of campaigns that rely on third party data at their core, focus on using your own data to drive leads and conversions with retargeting. This first party data – the information that you gather directly from your consumers – is more valuable than ever. So how do you make the most of this highly valuable first party data? In a word – segmentation. 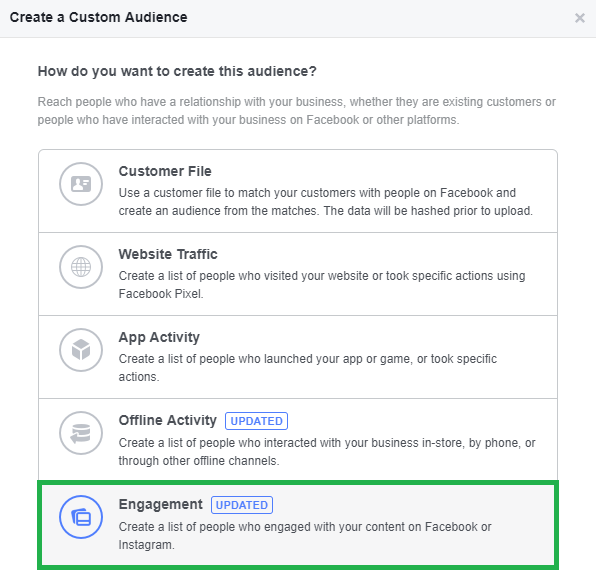 In five words – segmentation using Facebook custom audiences. With the Facebook pixel properly placed onto your site, every visitor that arrives on your site will be noted and tracked, regardless of source. These users then become available to build into a targetable audience within the Facebook Ads Manager platform. Site retargeting is the bread and butter of first party data. Every social media marketer should be using site visitors as a foundation for building a direct response strategy. These users are already in the early stages of your funnel and serve as a captive audience for your brand’s messaging. All site visitors are not created equal. Each user experiences a different mix of stimuli, resulting in awareness and interest for your product or service. 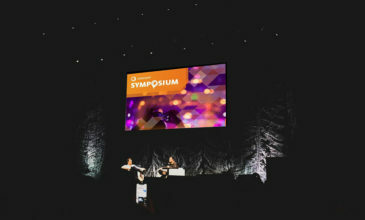 The key to successfully re-engaging this audience is to find out which users are relevant and serve them with content unique to their journey with the brand. 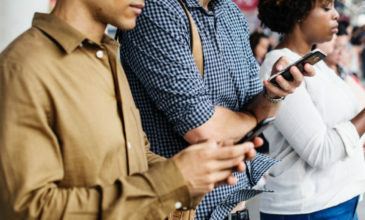 Retargeting diverse audiences can be tricky, but fortunately there are a few ways to narrow the total site visitor audience and separate out users into groups that have common characteristics. Let’s walk through seven simple audiences you can implement immediately to test against your brand’s direct response focused goals. In Ads Manager, navigate to the “Audiences” section found within “All Tools.” Select “Create Audience” and click “Custom Audience” from the dropdown list. Our first five custom audiences will build from the “Website Traffic” option. Let’s begin with the most simple form of custom audience segmentation – by time. To separate your retargeting audience by recency of a site visit, select “All website visitors” and enter a timeframe. Here you can create multiple retargeting audiences, each with a unique set of users based on the last time they were cookied on site. Try adapting your budget allocation for each user group based on their level of recent interest. For example, you may find that users who have reached site an excess of 45 days ago are cold leads and convert less efficiently than the remaining audience. The maximum time available to build a segment from is 180 days. Using Google Analytics, find out which pages from your site drive significant traffic. Then split out your ad sets to target those subjects individually. Next, create custom ad content that is relevant to the theme of each ad set you create. Segmenting in this way is especially useful for if your business has multiple verticals containing products and services that may not overlap. Click the dropdown arrow to change your selection from “All website visitors” to “People who visited specific web pages.” Enter the URL string that matches the portion of the site you want to build an audience around. 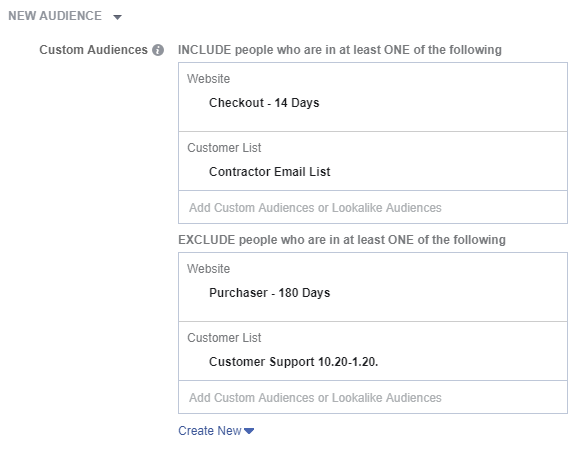 Once you select “Create Audience” Facebook will begin populating your custom segment. Begin with the same steps for creating specific web page audiences, but this time choose “Visitors by time spent” instead of “People who visited specific web pages.” Building this custom audience will target only the users in the retargeting pool who have engaged with your website the longest. Choose between the top 5/10/25% of users based on time spent on site. Like in our first example, you can get even more granular by narrowing targeting to high-value pages by choosing the “+Select specific web page(s)” option. Consumers commonly complain about being served retargeted ads for a product or service that they have already purchased. There is no quicker way to generate negative feedback than continually serving ads to users featuring the same product they just purchased (not to mention, it’s a waste of your budget!). The best way to consistently earn revenue is to maintain your customer base. The longer someone is a loyal customer the higher their lifetime value is to your business. Give the people what they want; don’t damage your brand loyalty by pestering customers to complete an irrelevant action they have already taken. To solve this problem, tag your website with standard events such as “Page View,” “Lead,” “Complete Registration,” and “Purchase.” Once properly implemented these events will become available for building custom segments containing only the users triggering the event. 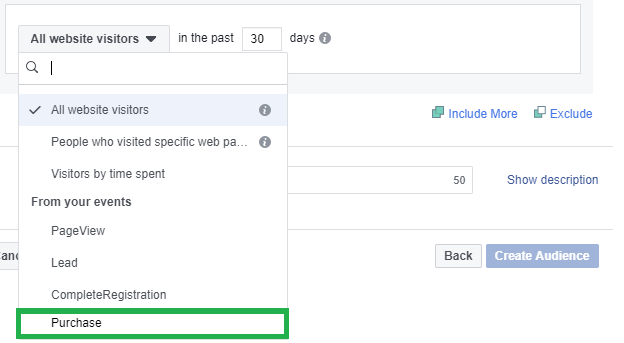 From here we can include or exclude segments in a custom audience as you build your targeting strategy in Ads Manager. Try adding standard events to remove users who have become leads or converted previously. In many cases products or services are viable for repeat purchases. Using the standard events feature, you can create a conversion audience containing users from a select window of time and exclude only those audience members. This allows you to give visitors a break from retargeted ads after a recent purchase and follow up later with customized content when it’s time to reorder. If you are using Facebook to scale your ecommerce business, this is the audience for you. Studies show roughly 77% of online shoppers abandon their carts before purchase. These are high value users that have taken the penultimate action and may only need a small nudge to generate a sale. Try targeting this audience with promotional creative featuring limited time offers, percentage discounts, or free shipping. Begin with creating a custom conversion that separates out users that have visited “My Cart” from the overall site retargeting. Starting from the “All website visitors” dropdown, select “Users who have visited specific pages.” Enter the URL that corresponds to a user reaching the cart. Apply this audience at the ad set level. The next two audiences are “pseudo-retargeting”. They do not require the Facebook pixel to target users who have already interacted with your brand. This means you can create these audiences immediately without waiting to gather site visitor data. 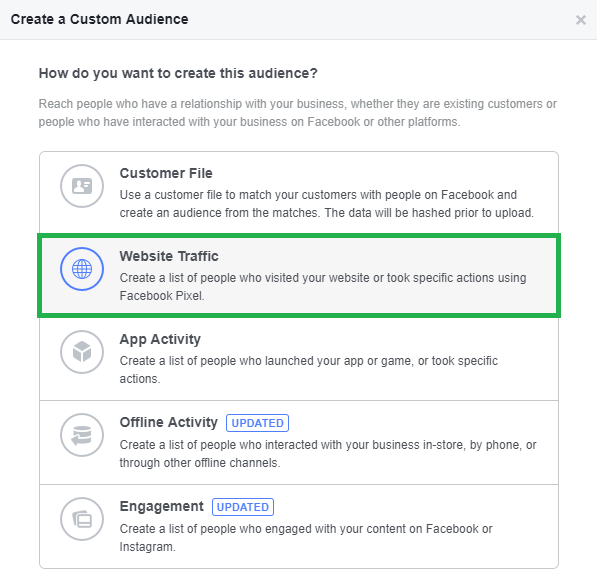 Facebook offers options to get in front of users who engage with your content even if they don’t make it to your landing page. You can create a custom audience based on users who are the most engaged with your paid and organic posts. Running video creative for a prospecting audience and want to retarget only the most interested users served? 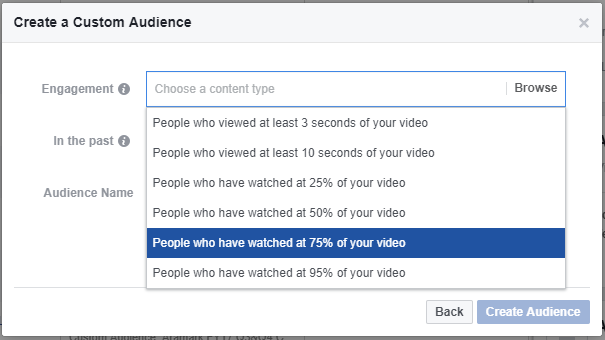 Break down video watcher segments further by who watched 50/75/95% of your content. Now that you are targeting only the most engaged prospects, put them in a lower funnel ad set focused on serving creative that encourages users to reach your landing page. Many businesses have multichannel marketing efforts that yield customer information. 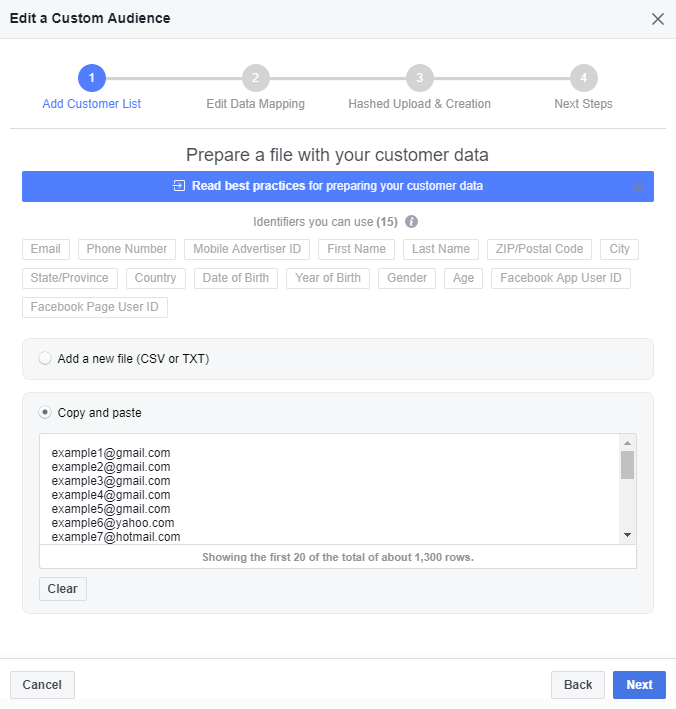 Facebook allows marketers to leverage customer email lists by uploading a CSV or TXT file that builds into a custom audience containing these users. CRM lists are best used for B2C purposes as the match rate in Facebook is significantly higher using personal vs. business email addresses. 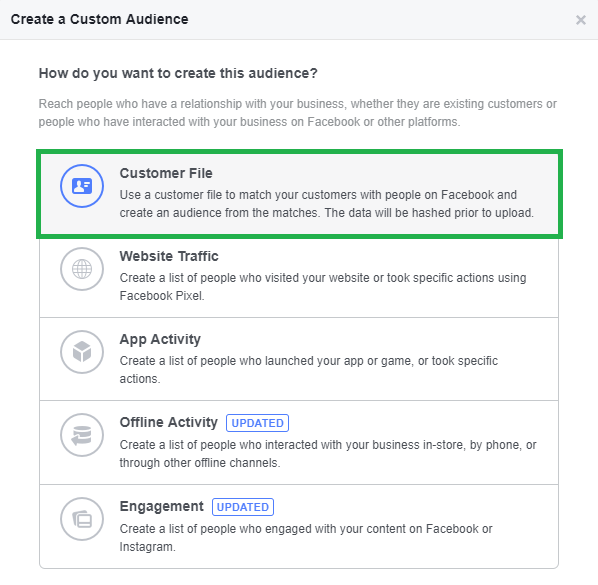 Next, choose “Add customers from your own file or copy and paste data.” There are many identifying fields that Facebook will take into account when attempting to match CRM data to user profiles. For most purposes, all you need for a high match rate is an email address. Feel free to include other identifiers as they will improve the accuracy of the data matching, however they are oftentimes not critical to the process. Follow best practices for uploading CRM data sheets or the copy and paste method found here. Many marketers prefer the copy and paste method for the ease of use even when uploading 1,000+ emails at once. This may take significant time to fully update. The audience will be available for use in targeting once you see the “Ready” status under the “Availability” column. Now that you know how to build these seven unique audiences, it’s time to apply them. Simply create a new ad set in Ads Manager and select “Edit.” Scroll down until you find “Audience.” Clicking into the box titled “Add Custom Audiences or Lookalike Audiences” will populate a drop down list where you can choose any of the audiences you created. Remember to think holistically by building a targeting strategy that uses both inclusion and exclusion of custom audiences. Here’s an example using multiple custom audiences to create a niche segment. There is no “one size fits all” remarketing solution in Facebook. Finding the right mix of audiences will take rounds of testing and consistent measurement. The more you learn about your lower funnel audience, the more customized you can make their experience. Don’t be afraid to test new methods and take calculated risks in the pursuit of this knowledge. Prove to your customers that your business understands how to fix a unique problem they are facing. Advances in AI and big data are seamlessly driving fully personalized digital experiences online. Whether consumers are aware of it or not, they expect an experience tailored to their individual journey with your brand. Providing value and building positive relationships with a bespoke customer experience will turn them into lifetime brand advocates. 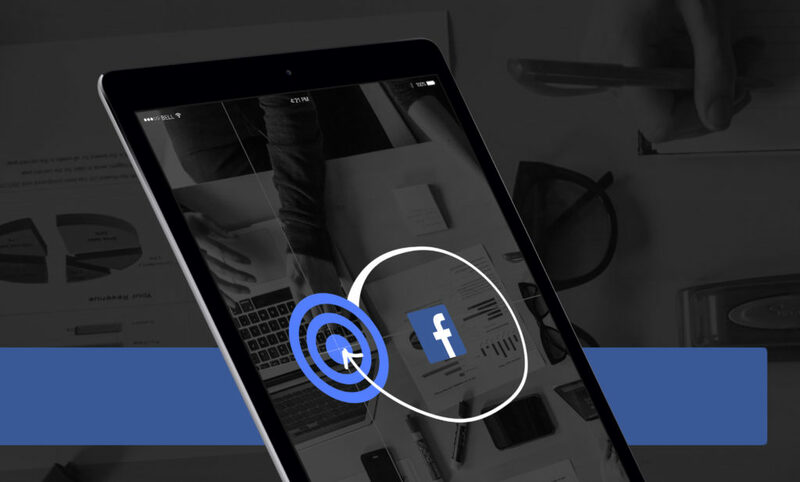 Try out some of the custom segments we discussed today to find out first hand how using Facebook retargeting to drive conversions can work for you. Creating an integrated experience between Facebook and other channels is the best way to make your strategy effective. Kickstart the process by reading how to use data to create better content and how to develop a personalization marketing strategy or downloading the eGuide for creating omni-channel customer experiences.